We love the San Daniele ham at Roma. It is popular with the customers also. 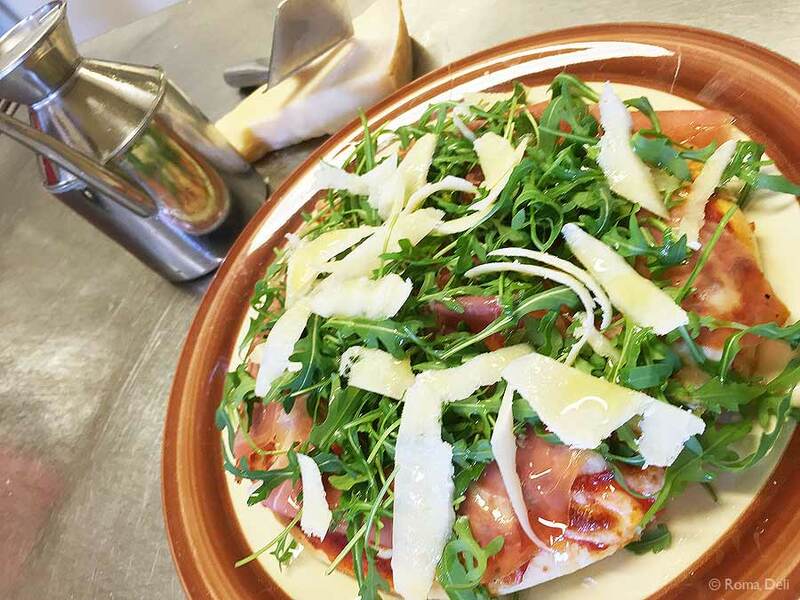 This pizza is topped with slices of tender San Daniele Parma ham, finished with shavings of Parmigianino Reggiano, fresh rocket and drizzled with extra Virgin Olive oil. Delicious! If you don’t fancy a pizza, have it in a salad or have it in our Parma and Lentil soup.